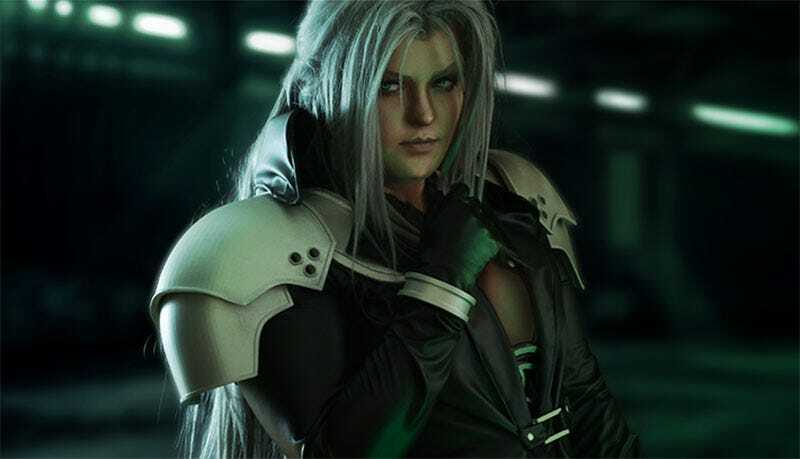 Natane Eklund works by day as an artist in the video game industry, but over the past year she’s also been toiling away on a gaming project of a different kind: a full 1:1 replica of Sephiroth’s Final Fantasy VII costume, complete with Jenova prop. It really is something else; you tend to see a lot of Sephiroth cosplay (we showed some last week! ), but it’s not often you see it with such detail and quality across the board. There’s a reason for that: rather than base her cosplay on art, Natane actually extracted Sephiroth’s in-game models from Final Fantasy VII: Crisis Core, from which she could shape the components to fit her body size. Natane had some help from her husband Quan Tran, who also took all the photos you’re seeing here. You can see more of her cosplay work at her Instagram page.